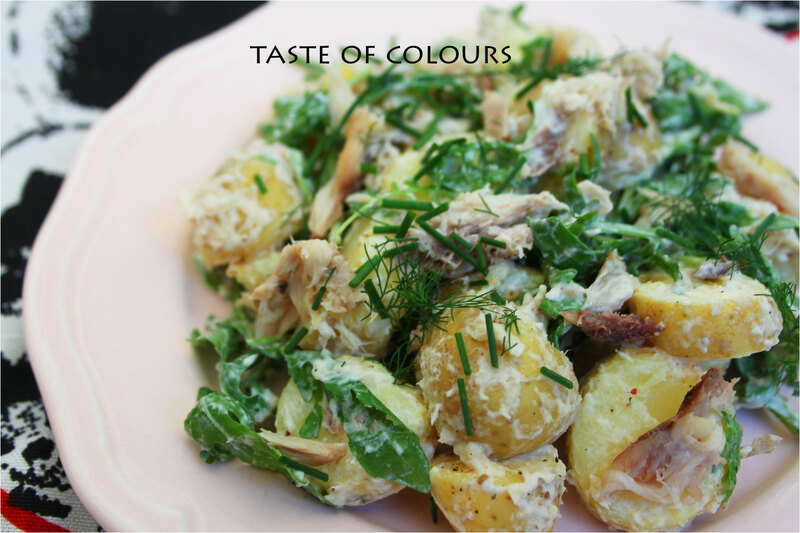 Cook the potatoes in a large pan of boiling salted water for 15-20 minutes or until tender. While the potatoes are cooking, mix the crème fraîche in a large bowl with the horseradish cream and lemon juice. Season well with freshly ground black pepper (there’s no need for salt because of the saltiness of the smoked mackerel). Drain the potatoes, halve and set aside to cool down for a few minutes. Tip into the crème fraîche mix and stir so it coats them and becomes quite runny. Now add the smoked mackerel and watercress and toss gently together. Pile on two plates and serve straight away (it’s best while still warm). Looks like it turned out nicely. 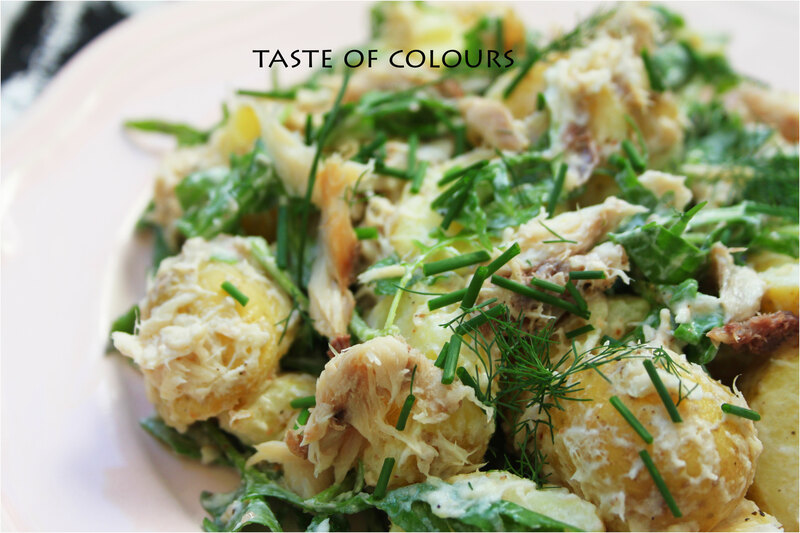 I found this recipe very appealing – simple, fresh and tasty.